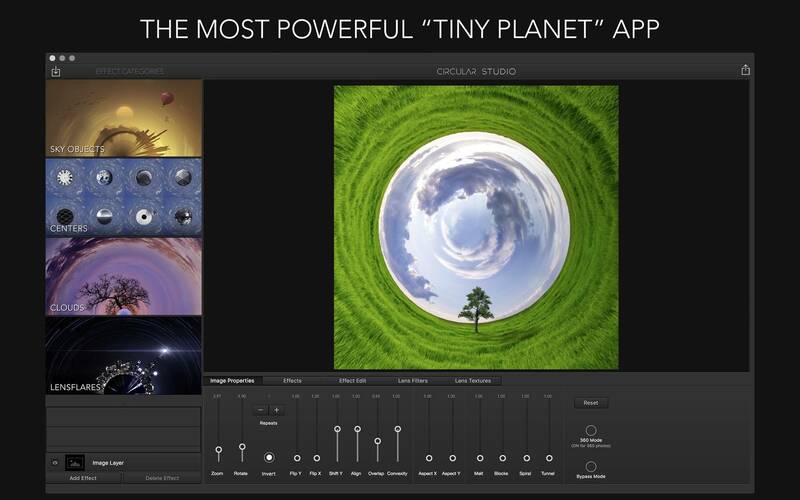 Powerful 'tiny planet' photo editor. 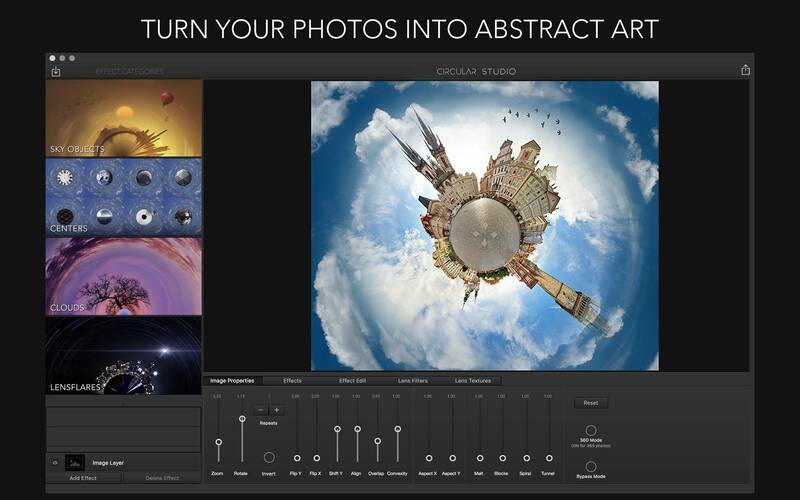 Is there a better alternative to Circular Studio? 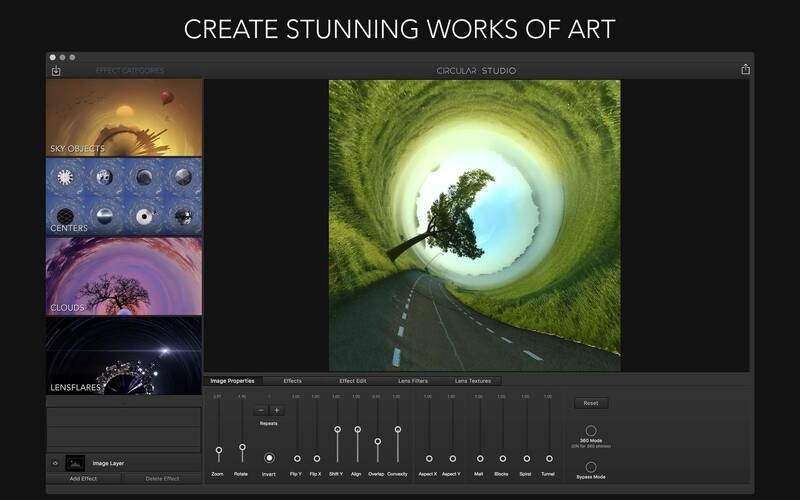 Is Circular Studio really the best app in Image Editing category? Will Circular Studio work good on macOS 10.13.4? 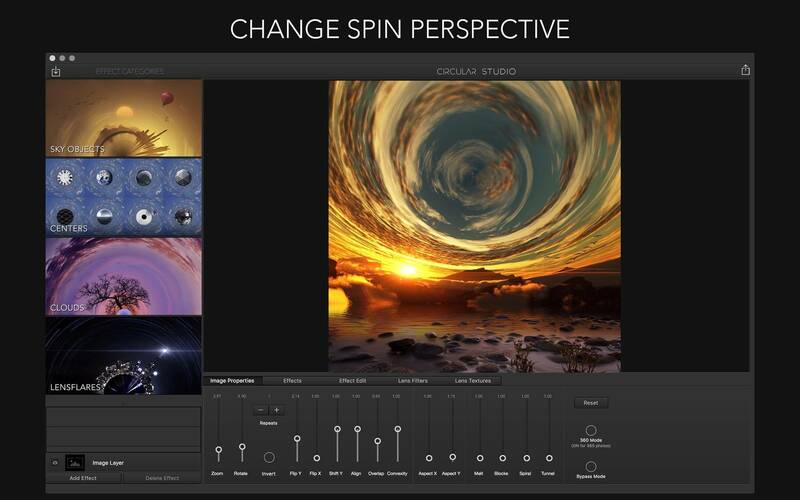 Circular Studio is an incredibly powerful "tiny planet" app for the Mac. 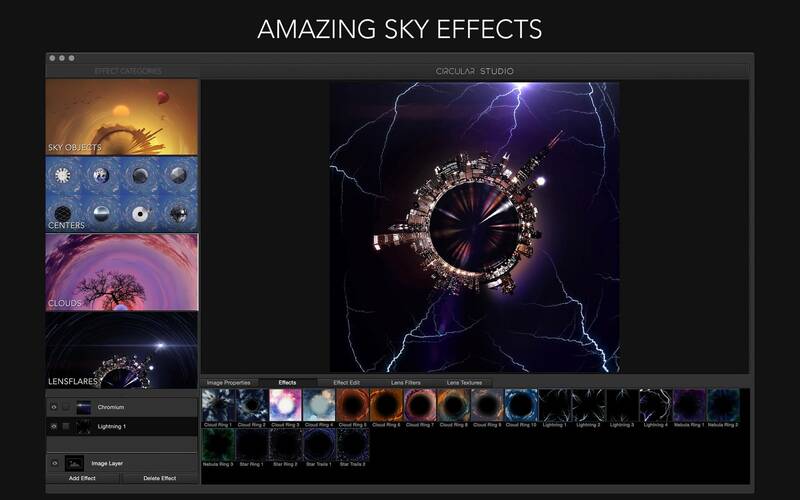 It has innovative new features never seen before in this type of app, such as sky objects, centers, clouds, and flares. New controls to customize your Circle image. Align and Overlap to help improve circle effect. New Convexity to stretch or shrink tunnel like effect. Also, new sliders! You can now type in exact values for perfect control.